KINGSTON, Jamaica, Nov 16, CMC – The International Monetary Fund (IMF) Thursday pledged its support for the Caribbean as the region moves to build resilience against the effects of natural disasters. IMF managing director, Christine Lagarde, addressing the sixth IMF High level Caribbean forum, said the Washington-based financial institution is prepared to support the Caribbean with recovery funding and is cognisant of the impact of natural disasters on economic development and stability in the Caribbean. She told the forum, which is being held under the theme ‘Unleashing Growth and Strengthening Resilience in the Caribbean’, that the IMF is ready to provide leadership with sourcing special funding and expertise to assist the region in developing mitigation and resilience strategies over the short and long term. She said Hurricanes Irma and Maria that passed through the Lesser Antilles in September causing widespread destruction and killing several people “have again highlighted the special vulnerabilities of the Caribbean, and the need to strengthen its resilience. “Climate change is expected to intensify the impact of natural disasters, and worsen the vulnerabilities of small states in the Caribbean. Rising sea levels increase risks of erosion and flooding, and warmer water temperatures heighten the potential for more intense hurricanes,” she told the forum that is being attended by several regional prime ministers, central bank governors and other stakeholders. Lagarde said that the IMF stands ready to do whatever it can to help in these situations, in assessing macroeconomic implications, determining financing needs, and providing financial support that would also help catalyze broader financing from the rest of the international community. “Beyond these efforts, I propose convening an event with all the major public and private stakeholders to explore options for building resilience in the region, including risk mitigation, debt management strategies, and use of catastrophe bonds. 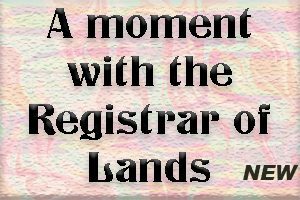 This effort is not about a short-term response, but about building defenses to events that will reoccur again. She said that the forum, which focuses on issues impacting the region and the potential opportunities within the context of an ever-changing global landscape, is an important platform for brainstorming and collaborating with key stakeholders on the challenges facing the region and the possible solutions to address them. The IMF has just published a book by the same title as the theme of the forum and the IMF managing director said it which explores some of the ideas to be raised. “This year’s Forum is also about hearing your views on how we can work together to deepen Caribbean growth, insulate it more from shocks, and make it more resilient. We all want this region to create more jobs and growth for the benefits of its current and future generations. The IMF official said stronger economic growth is the essential foundation for a more resilient Caribbean and it is also a foundation for building defenses. Lagarde said there is no one explanation for this disappointing growth performance. Caribbean economies have been hit by external shocks, such as natural disasters which affected agriculture in particular and loss of international trade preferences. She said at the same time, they have not been able to fully insulate themselves from such shocks because of large macroeconomic imbalances. Growth has also been affected by structural impediments. “A few come to mind: The region’s high cost of electricity, limited access to credit for households and medium and small enterprises, high rates of violent crime, and a persistent outflow of highly-skilled workers, the brain drain. She said that the agenda covers three specific issues that are key to higher growth, namely crime and youth unemployment; fiscal policy and political cycles; and stability and growth trade-offs in the financial sector. The IMF official said that crime and youth unemployment in the Caribbean is among the highest in the world. Crime, partly fuelled by this high rate of joblessness, a major obstacle to growth in the Caribbean. She said crime imposes several economic costs, including public spending on security and the criminal justice system; private spending on security; and social costs from the loss of income due to victimization and incarceration. In a recent study, the Inter-American Development Bank (IDB) found that, on average, crime in the Caribbean costs nearly four per cent of gross domestic product (GDP) annually, more than in most Latin American countries. But Lagrade said this “can only take us so far” and that politics and electoral cycles can have a strong impact on fiscal policies and economic outcomes, a phenomenon that has been observed around the world, and has also played a major role in shaping economic developments in the Caribbean. She said too often, promising reforms have been cut short by policy reversals driven by political pressures, not in all cases, but in many instances. “We need strong institutions and fiscal frameworks that can help safeguard and sustain prudent fiscal policy over time. Lagarde said that the experience of these countries, which in the main has been very successful, provides a good example for other countries in the region. She said fiscal councils are also increasingly recognized as tools to promote sound fiscal policies by providing independent information and analysis, and by monitoring compliance with fiscal rules. She said Jamaica’s Economic Program Oversight Committee (EPOC) provides a good example. In her address the IMF managing director said that there is need to consider the connection between financial stability and growth. She said in countries with high public debt, banks have grown dependent on government paper, and have crowded out private sector credit. In other countries, at times, banks have engaged in excessively risky lending, leading to struggles with nonperforming loans. “What is the right balance? That will be the focus of a part of our conversation today. The distinguished panel has also been asked to examine policies to address constraints on financial sector inclusion and deepening—and I am very much looking forward to hearing its views,” she told the ceremony. She said when it comes to banking, there is another challenge that needs to be looked at, noting that both Caribbean and other economies around the world have had to contend with the loss of correspondent banking relationships (CBRs), also known as de-risking. 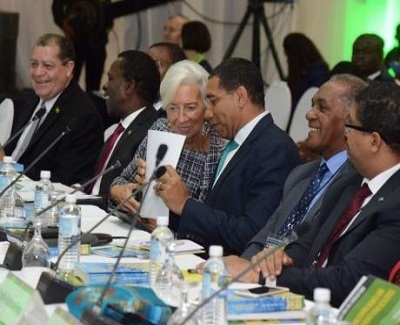 The IMF, Lagarde said, has facilitated an international dialogue on this issue, aimed at fostering a shared understanding of the problem, and to help develop policy responses that are tailored to specific challenges faced by Caribbean economies. Rep. Ro Khanna: "The good news is I've spoken to Kevin McCarthy, the leader on the Republican side, and he understands that we need to do something to prevent future intervention."